CEO Paul Griffiths has announced on the Dubai-based Business Breakfast radio programme that Dubai Airport’s Concourse 3 Terminal is targeting a January 2013 opening. 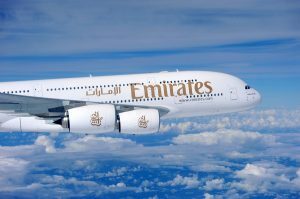 The world’s first dedicated facility for A380’s will be home to Emirates’ growing fleet of superjumbos and feature dedicated first and business class lounges. The expansion will help grow Dubai airport’s passenger capacity from 60 million to 75 million. Complementing Concourse 3 will be a 4th concourse, due to open in 2015, and an expanded Terminal 2 at Dubai Airport. The new projects are designed to bridge Dubai Airport’s capacity gap ahead of the second phase of Al Maktoum Airport at Dubai World Central.